How cool are these balloon animals? I know my nephew would be stoked to get an angry birds one. I think this would be a very cool DIY too! My wedding planner cued me into this awesome site, Save on Crafts. It has everything from moss, wood burning tools, apothecary jars to cute black board signs – all at wholesale prices. I had hoped and dreamed of going to Alt Summit this year, but it just wasn’t in the cards. But a girl can still daydream – I’m following along with their twitter feed and fantasizing in my head. Can’t wait for all the recaps! My new favorite blog discovery is Sawdust Girl. She is renovating her home one room at a time. I’m so envious of her Master Closet, totally taking notes. We’ve been making hummus like crazy! Next recipe on our list (because we bought loads of garbonzo beans) is this sweet and crispy garbonzo bean snack. 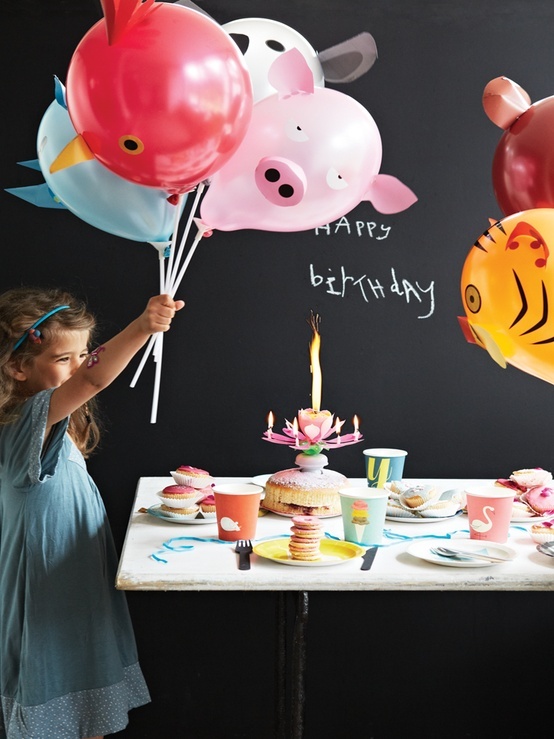 Those animal balloons are too cute for words! those balloon animals are awesome! i would love to have them for my kindi classes!